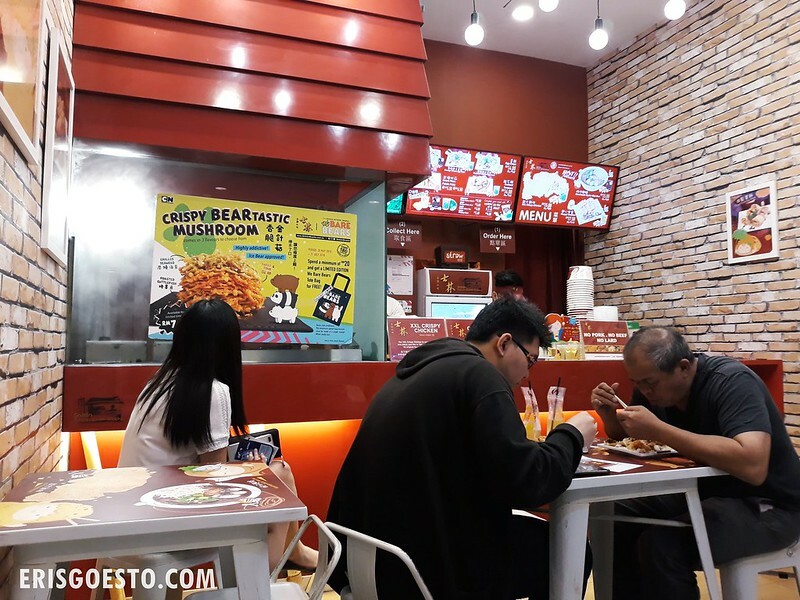 I remember a time when Taiwanese street snacks were all the rage in KL, with stores like Hot Star Fried Chicken and Snowflake popping up faster than mushrooms in the rain. Most of these are long gone, but not Shihlin. Shihlin is, for some reason, still going strong, despite its relatively limited menu. And once in awhile, when the craving for oyster mee sua comes around, I head to their outlet at Jaya Shopping Center. There isn’t much space to dine in, but most people get their specialty, the boneless fried chicken, to go anyway. Nothing like a warm bowl of gooey goodness in the middle of the day! 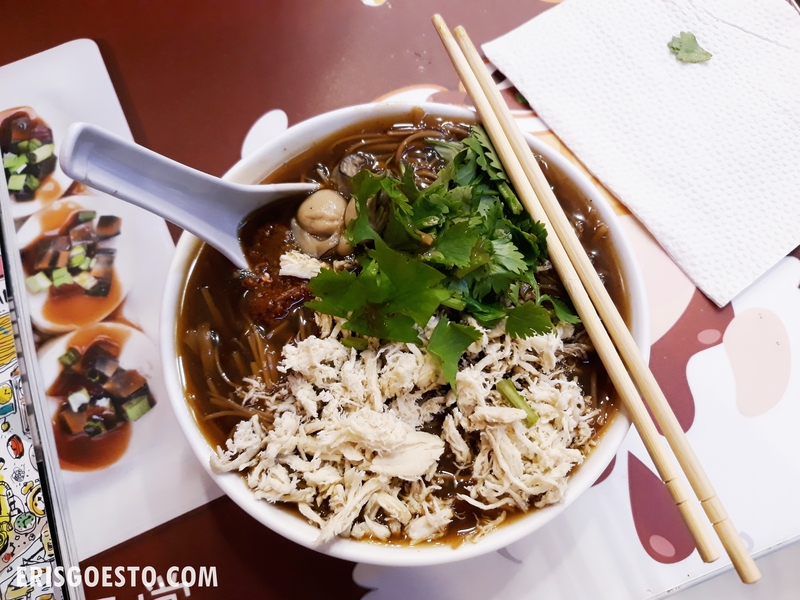 The version here is topped with lots of shredded chicken, parsley and a localised ingredient you won’t find in Taiwan – a big dollop of sambal. Nothing to complain about here – the oysters were sizable and fresh,and the broth was nice and savoury. 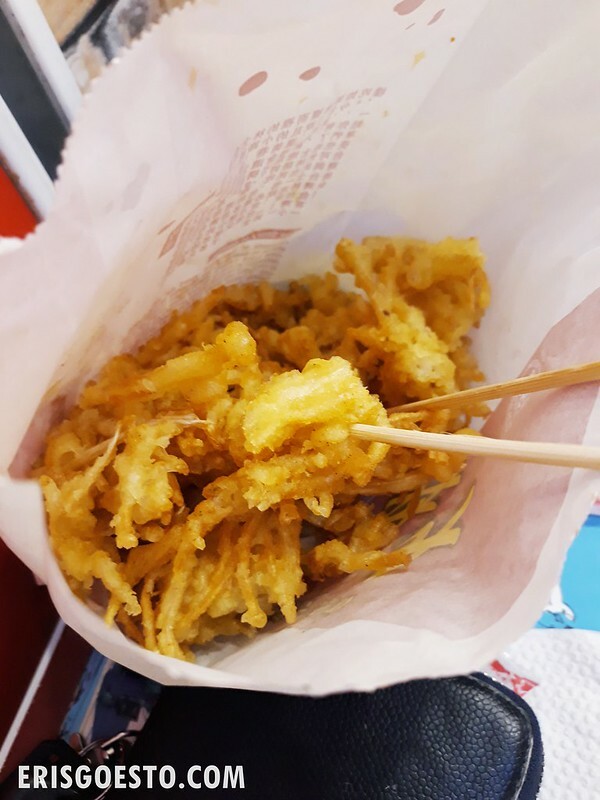 A new item on their menu, available for a limited time only – the Crispy Beartastic Mushrooms -essentially fried needle mushrooms with either a seaweed or a dried squid seasoning. The first few bites were good but it got really greasy after and I couldn’t finish it. Felt like I was swallowing oil.